Today we are going to share with you our new idea of a silver charm for a newborn baby…! This idea was “spinning” in our brain for so long! 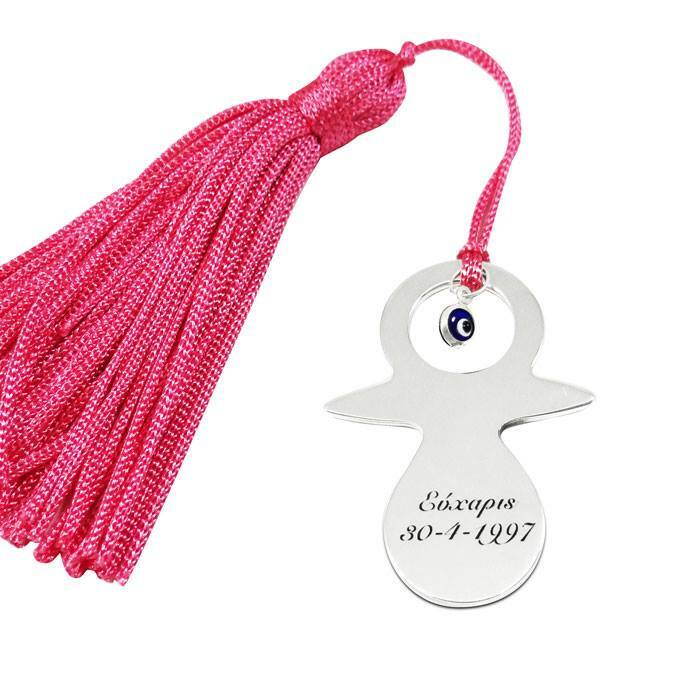 So,we cut from solid sterling this design which reminds us actualy of a pacifier, we engraved on it by laser the baby’s name and date of birth, since we knew it, we put a peephole and a pink tassel …! It’s a girl!!! A charm… for the newborn… to wear it as a jewel… hang it in the crib… or to create unique favors for her / his baptism! Anything you think and dream can come true, here at Shine4ever.gr!